Everyone can picture themselves living amidst a gorgeous mountain setting with warm temperatures in a remarkable community. The Marrakesh Country Club in Palm Desert gives you the opportunity to make this gracious living possible in a comfortable and enjoyable surrounding. Marrakesh Country Club received its name from the founder of Palm Desert, Cliff Henderson, for its terrain, snow-capped mountains, citrus groves and rosy sandstone wall that is similar to the time he spent in Marrakesh, Morocco. The developer is none other than champion golfer Johnny Dawson who constructed the club from 1968 thru 1976. There are many stunning facets that make up this community starting with the elegant homes, which were designed by John Elgin Woolf. The homes were first created for prominent film people in Southern California with tasteful, elegant designs. This dreamy Palm Desert Real Estate location is now open to the general public to take advantage of. When looking at Palm Desert homes for sale within the Marrakesh Country Club community, you will find there are one, two and three bedroom homes available in four separate models. All of the homes range from 1,500 to 3,000 square feet and feature 10 foot ceilings, atriums, and courtyards. One of the more magnificent features to these homes is the large glass windows that overlook the large patios with views of the golf course, green belts, pools and mountains. It is all about the setting with this community as all of the homes benefit from low density construction and features countless club facilities including 14 pools, spas and pavilions spread throughout. The location is perfectly placed in the Palm Desert area close to El Paseo restaurants and world-famous shopping. 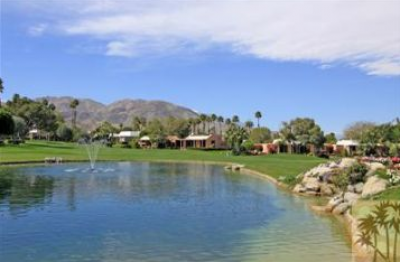 All Palm Desert realty in this community ranges from $200,000 to $600,000. While the homes are certainly something to boast about, you cannot talk about a country club without mentioning the golf course. Marrakesh offers an exceptional 18-hole golf course that is surrounded by the luxury homes in the community. The championship golf course features stunning views of the mountains around, rich lush trees, countless water features and some of the best features golfers of all levels could experience. Some of the classic golf holes you will enjoy on the course include number 7, 9, 16 and 18. Hole 7 is the favorite and is by far the most beautiful with 198 yards of magnificence. Hole number 9 is just 189 yards but offers a number of challenges with water surrounding the green. Holes 16 and 18 are equally challenging and will put your skills to the test. Outside of the Palm Desert Real Estate and the professional golf course Marrakesh has to offer, there are a number of other social activities to partake in. This is one of the few clubs that offers a year round program of water exercises with a 90 degree pool. For casual entertainment there is a regulation-size croquet court, three weekly programs of organized bridge play, a fully equipped fitness room, 14 full-size swimming pools, newly renovated spas, and full tennis courts. There truly is a little bit of something for everyone at the Marrakesh Country Club with a plethora of activities, a stunning golf course and prime Palm Desert Real Estate. If you would like to see property at Marrakesh Country Club, please call us at the numbers below. Elaine Stewart is committed to helping you find the home of your dreams.